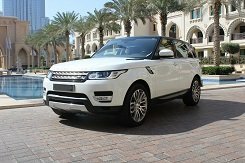 Renting a new Range Rover in Dubai, you get a luxury car both externally and internally. 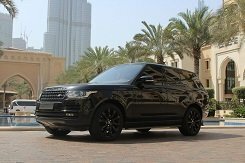 Regarding other high-speed cars Range Rover can not boast of instant acceleration, but with it you will be in maximum comfort. The ideal suspension is soft, not punchy. On this off-road car pits to collect - it's a pleasure. Some models have powerful engines with a turbine, for example, in the Sport and Vogue models - you can not call them supercars, of course, but you will feel the speed and acceleration 100%. 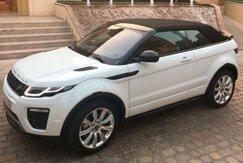 All SUVs Land Rover Range Rover: Evoque, Vogue and Sport frame! It is like an impregnable fortress for deep pits on the road or for mountain serpentine. All cars are equipped with modern controlled electronics, with which you can set the desired clearance, use different drive settings, choose driving mode and much more. Evoque - a practical crossover for every day for the city and a small off-road. Vogue - a car of a representative class with the raised comfort for passengers and the driver. Sport for aggressive driving: instant acceleration will become your friend.